By Garett Sloane . Published on January 18, 2019. 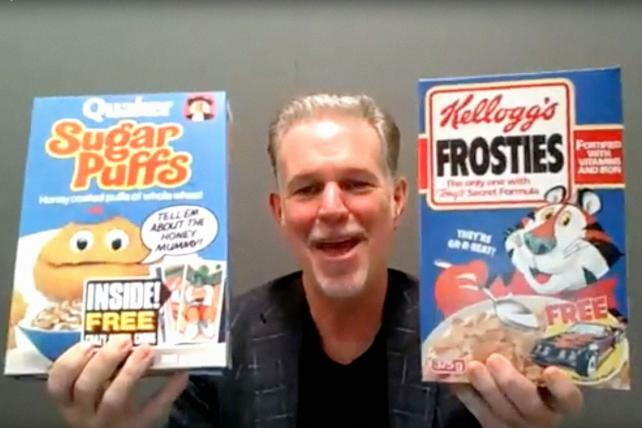 Netflix's CEO Reed Hastings interrupted his quarterly investor interview for what amounted to a product placement, holding up a Kellogg's box and a Quaker box for the camera. 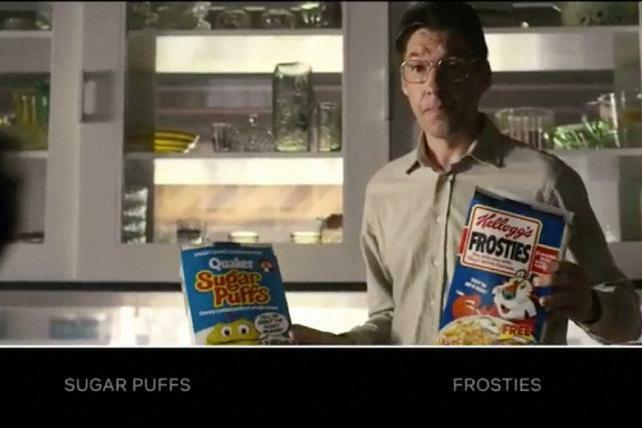 Hastings was discussing the company's financial and performance data, but he also revealed that the Kellogg's Frosties was the most popular choice among viewers of "Bandersnatch," the choose-your-own adventure installment of "Black Mirror." The groundbreaking show invited the audience to control the outcome by letting viewers decide between multiple possible pathways, and one of the choices asked whether the main character should eat Kellogg's Frosties or Quaker Sugar Puffs. "There is one piece of data that didn't make the [financial] release and that's what percentage of people chose Frosties versus Sugar Puffs," Hastings said, holding up both boxes. "And the answer is 73 percent for Frosties." "The most critical data point of the quarter," Spencer Wang, VP of finance and investor relations at Netflix, joked. In Thursday's earnings report, Netflix also opened up a little about stats like how much time people spend watching the service, claiming it commands 10 percent of TV screen time in the U.S. Also, Netflix said that 80 million households streamed the Sandra Bullock horror flick "Bird Box." It's rare for the company to divulge such viewership information. A Netflix spokesman declined to comment for this story. Kellogg's and Quaker Oats, which is owned by PepsiCo, did not return requests for comment. Neither company paid for the placement in "Bandersnatch," according to a person familiar with the situation who spoke on condition of anonymity. It's not the first time Netflix has given a free lift to Kellogg's, which was fortunate to be the food of choice in "Stranger Things," another pop culture phenomenon from the streaming service. In that show, which premiered in 2016, the main character named Eleven is obsessed with Eggo waffles. Kellogg's didn't pay for that bit of free product placement either. 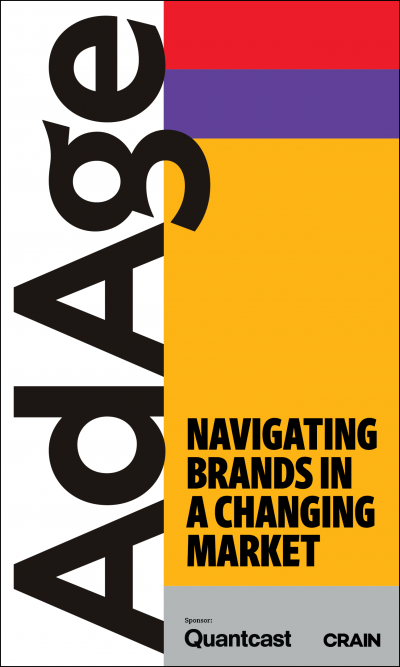 The "Bandersnatch" mention of brands was different because it allowed the audience to choose whatever brand they preferred, offering a call to action in the middle of the show. If brands could pay for that kind of integration they would get assurances that the viewers saw their products. 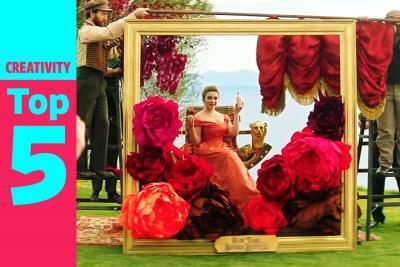 Netflix is known for its careful approach to advertising, insisting it won't ever introduce traditional commercials. However, a few analysts have predicted that Netflix would bow to the advertising business model at some point, which would be a gift to brands who want a piece of its captive audience. Netflix announced in its earnings report that it has 139 million subscribers, an increase of 8.8 million year-over-year. 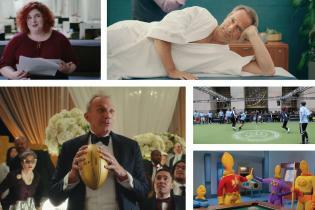 The company might not have commercials, technically, but a scene letting the audience select a brand is certainly advertising if it ever becomes a paid offering. It would also give brands deeper insight into consumers, should Netflix go that route, because they could see what types of viewers chose what brands. They could also discover that most consumers chose a competitor. Sorry, Quaker. CORRECTION: An earlier version of this article incorrectly said that KFC and Tin Cup Whisky paid Netflix for brand integrations.